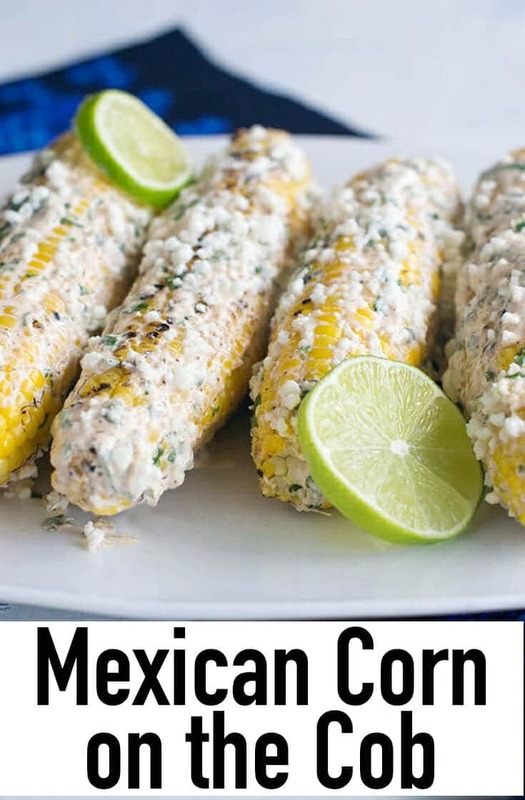 Learn how to make Mexican Corn on the Cob, a street food called Elote. It’s grilled and has the most delicious topping all over it. 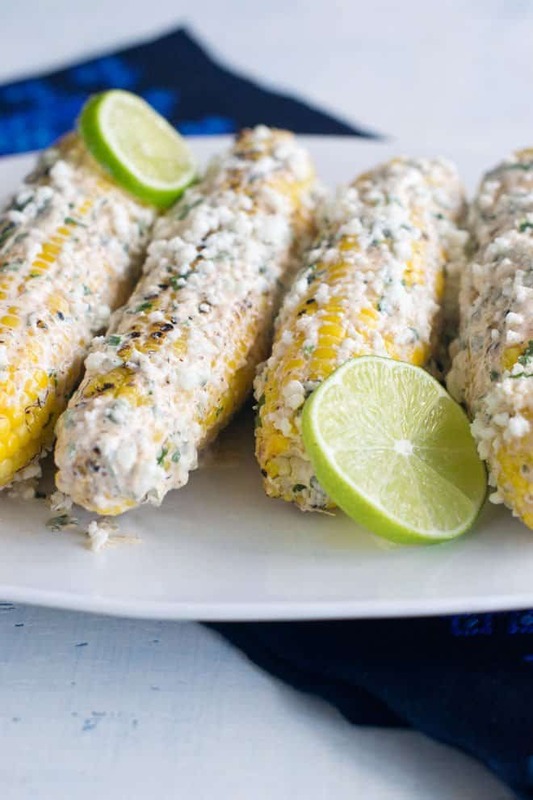 Elote is the name for a classic Mexican way of making corn on the cob. 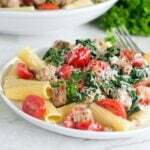 It’s really easy to make but the flavor is unbeatable. It’s creamy, cheesy, a bit sweet and a bit sour. A really perfect combination. 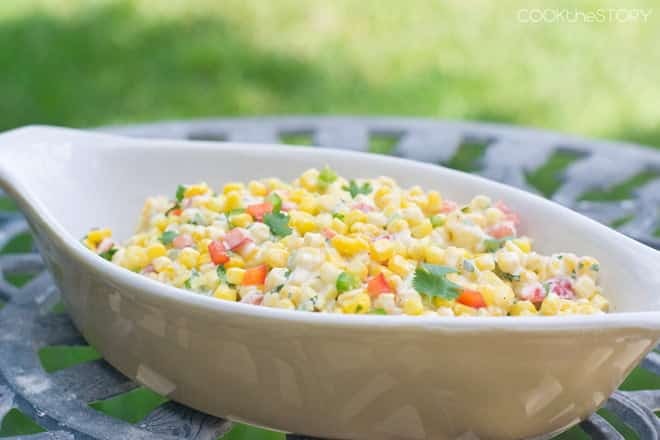 First, you make a creamy spread for the corn cobs. Some people use straight mayonnaise as the base. 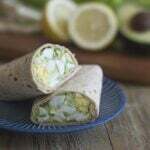 Others mix mayonnaise with sour cream or Mexican crema. I opted for a mixture of mayonnaise and Greek yogurt because I wanted that bit of tang. To that mayonnaise mixture, you add chili powder and garlic. 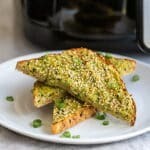 You can optionally add chopped cilantro. I always do but I know that not everybody likes the distinctive flavor that it has. Next up, you grill the corn. Shuck the corn cobs and put them on the grill over direct medium heat. Turn them every so often so that some kernels are nice and brown on all sides. 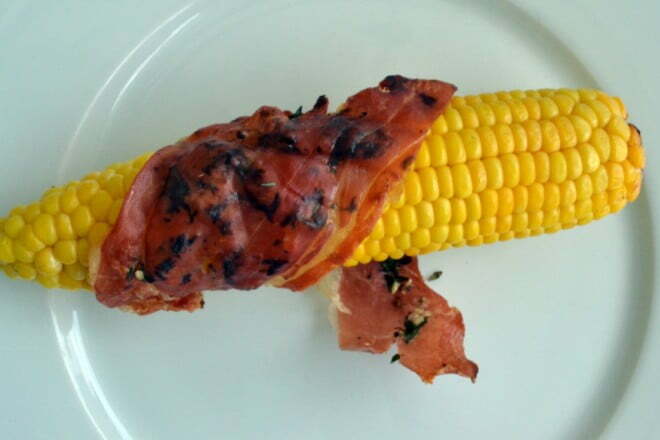 (If you don’t want to grill the corn, you can, of course, cook it another way. One quick way is to put 2 corn cobs on a microwave-safe dinner plate and microwave them. Here’s how I do it. When the corn is cooked, spread it with the mayonnaise mixture. Spread it all over the entire cobs. This is important because of the next step. This step. Right here. What you’re going to do is sprinkle the cobs with a crumbly cheese. It’s the mayonnaise mixture that gets the cheese to stick to the cobs. Brilliant, right? What kind of cheese do you use? Traditional Elote uses cojita cheese. My grocery store doesn’t sell it though, so I go with either feta or crumbly queso fresco. Crumble the cheese up very finely and then sprinkle it on the cobs, turning them so that the cheese ends up on all sides. Finally, you squeeze a bit of lime onto the cobs, again turning them to get it on all sides. Oh, wait. One more step. Eat! The printable version of the instructions with ingredient amounts is below. Have a great day! Preheat the grill for direct grilling over medium heat. In a small bowl mix together the Greek yogurt, mayonnaise, chili powder, garlic and cilantro, if using. 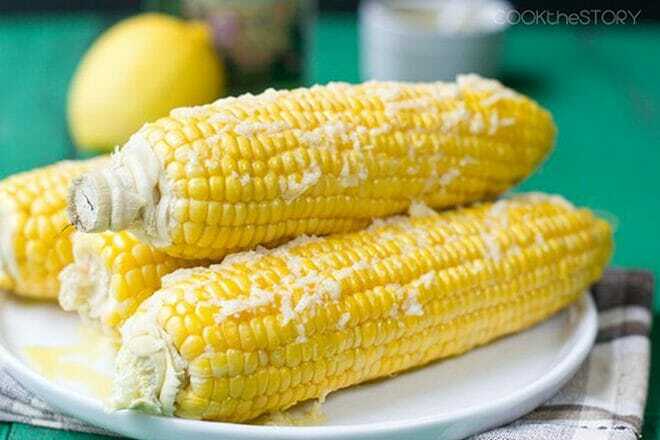 Shuck the corn and put the cobs on the grill. 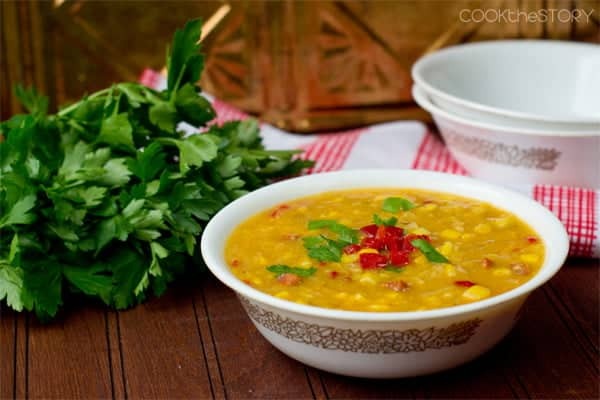 Cook, turning often, until the corn kernels are cooked and some of them have browned, 8-10 minutes. Remove from grill. Spread cobs all over with the mayonnaise mixture. Sprinkle all over with the cheese, turning cobs to get it all over. 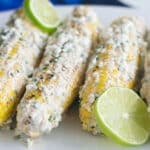 Squeeze one lime wedge over each cob, turning to get lime all over also. Serve! This post originally appeared in August, 2016 and was revised and republished in July 2018. YASSSSSSSSSSS one of my favorite foods!